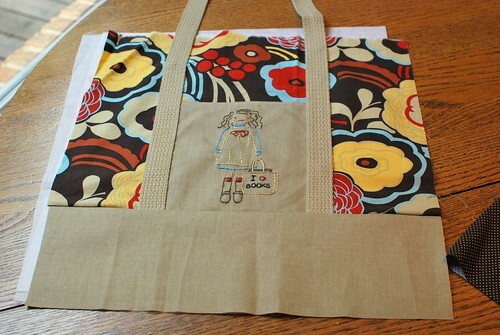 This week I worked on this super simple tote bag for Harper's teacher. Her last day of school is Thursday. Yikes. Can you believe it.? 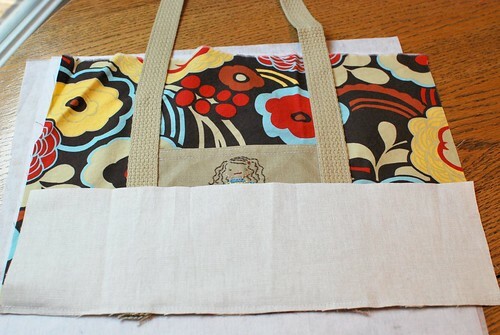 This tote bag would make a great gift for anyone and can be customized in so many ways. 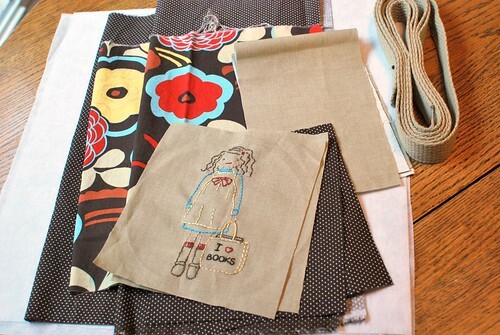 I used the super cute Book Club embroidery pattern from Wee Wonderfuls for the pockets. I fell in love with these and knew they would make a great teacher gift, but didn't know for sure what to make with them. 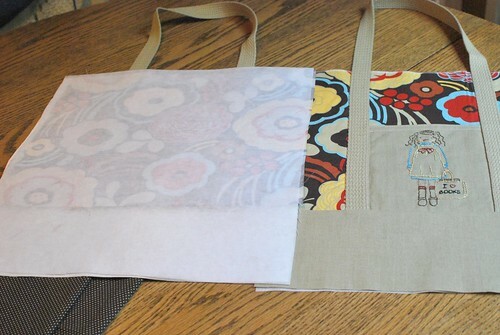 So I brainstormed and came up with the idea of a simple tote bag. 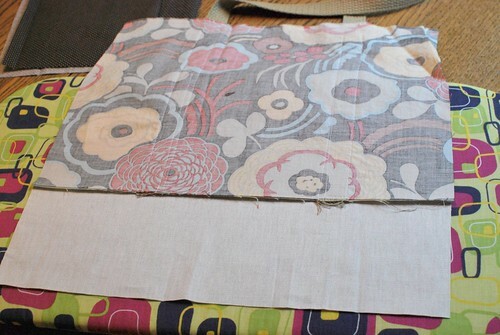 Lining: 2 pieces 15" x 16"
Place 2 of the pocket pieces right sides together. Sew along top edge. I used a 1/4" seam allowance. Repeat with the other 2 pocket pieces. Turn pocket pieces right sides out. Topstitch along the top edge. I decided to do two rows of stitches because I thought it looked nice. Repeat with other pocket pieces. Center the pocket piece in the middle of the exterior top piece. Baste along the sides and bottom. Repeat on the other side. 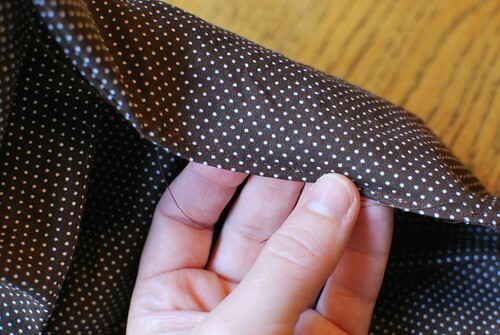 Place the webbing on either side of the pocket like the photo below. Pin in place. Repeat on the other side. Sew along both sides of the webbing. Repeat on the other side. Place the exterior bottom on top of the exterior top piece with right sides together. 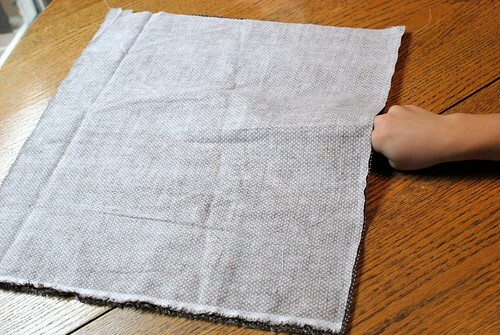 Sew along the bottom edge. Repeat on the other side. Iron the seam down on both pieces. Follow the manufacturer's direction for the interfacing. Interface both exterior pieces. Place the exterior pieces together with right sides together. 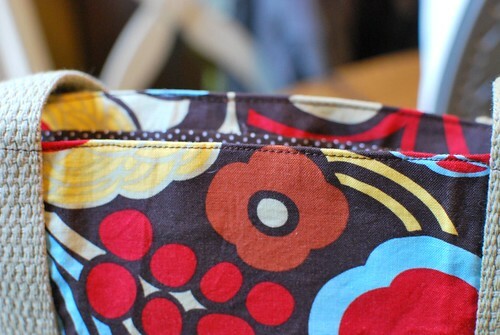 Sew along both sides and the bottom. 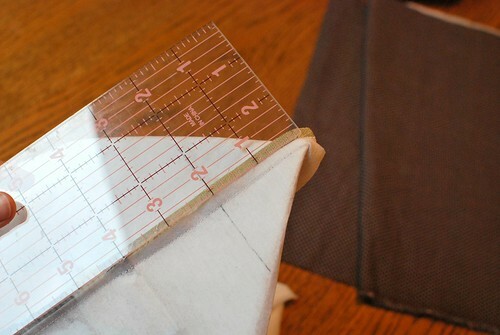 Pinch the corners together and measure 2 inches from the corner. Mark and stitch along this line. Do this for the other corner too. Place lining pieces right sides together. Stitch along both sides and the bottom leaving a 3 inch gap for turning. Box the corners the same way you did on the exterior pieces. 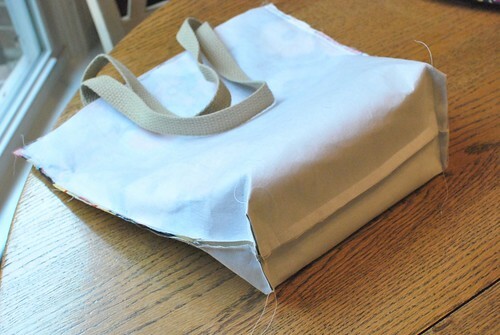 Turn the exterior of the bag right side out. You can see here that I stopped stitching the webbing about a half inch or more from the top. Stuff it into the lining matching up side seams and making sure the straps are tucked inside and out of the way. Pin in place and then stitch all the way around. 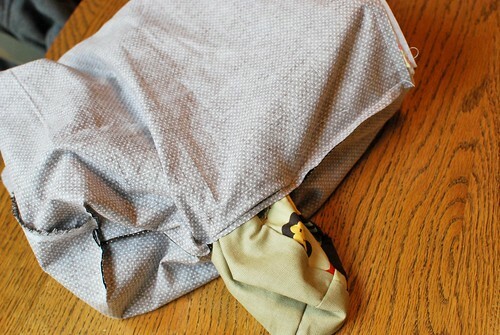 Now birth your bag. This is my favorite part. 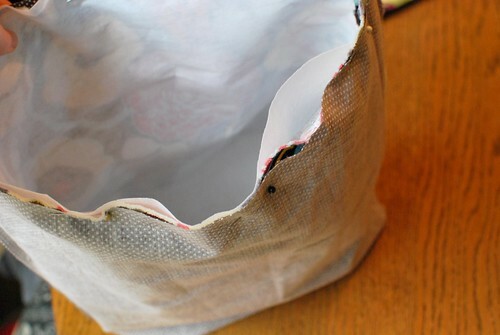 Turn your bag right side out through the hole in the lining. 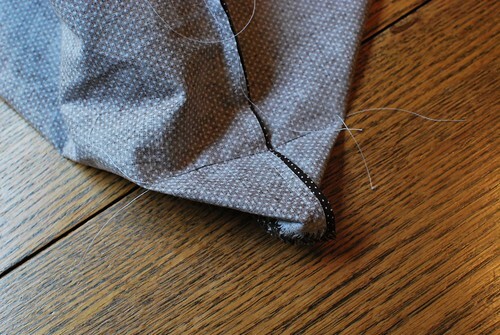 Sew the gap in the lining. Then press the bag. 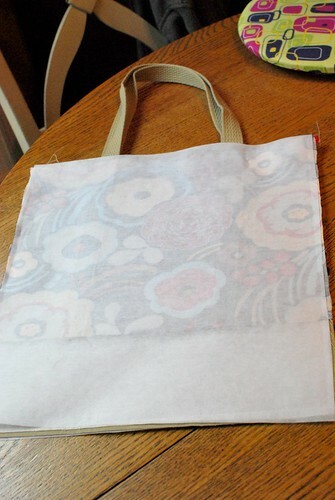 Topstitch all the way around the top of the bag. Please make sure to add a photo to the flickr pool if you decide to make one. That is so cute! 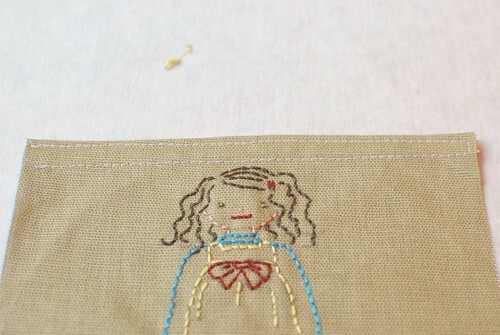 I love the embroideries you did on the pockets to make it extra special. 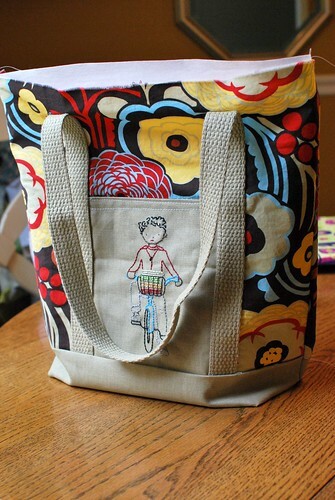 I need to start thinking about teacher gifts, too. I have until June 9th, though so I have a bit of extra time. 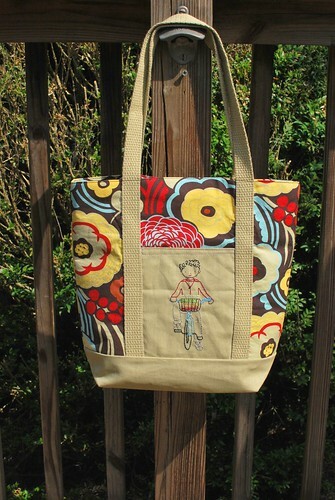 What an adorable bag! 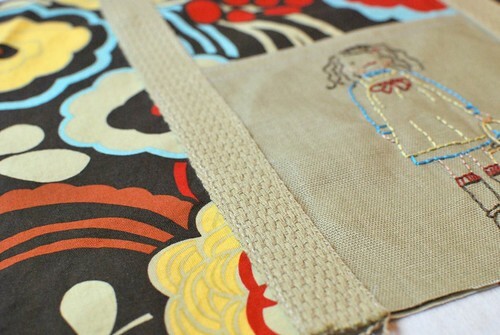 I love how you used embroidered picture pockets. Too cute! 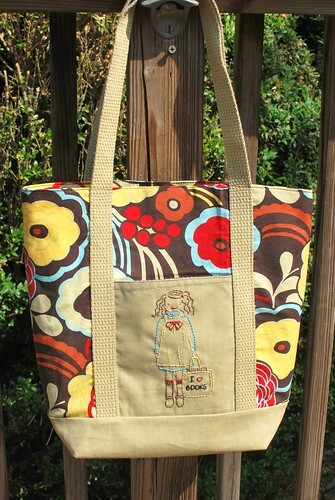 Love this bag and the embroidered little people. So darn cute. Yep...that is absolutely perfect!! 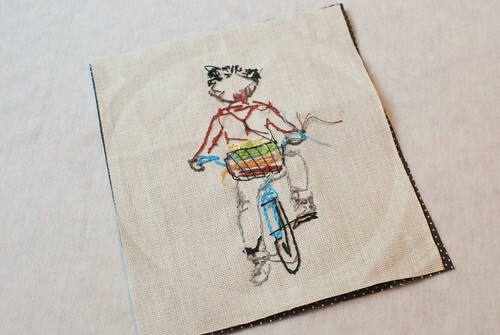 I may have to break out my canvas and webbing...it is a great teacher gift, Jen! Good work - as always! 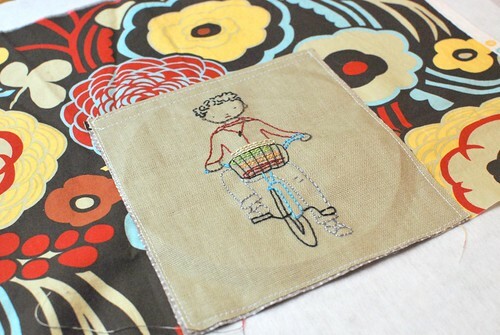 And the embroidery is so sweet...she is going to love it. This is so cute, I love the "birth of the bag" (LOL)! this is SOOOO darling...I love everything about it! What an awesome teacher gift! 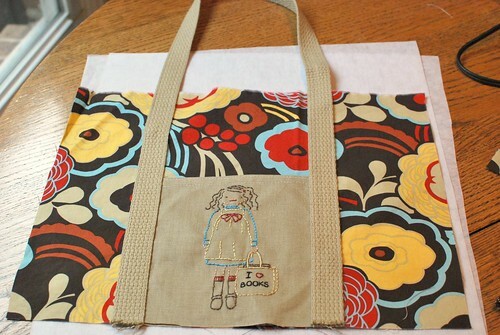 The bag is great and the embroidery is super cute! I'm sure the teacher will love it! I loved this post!! It's so cute!! 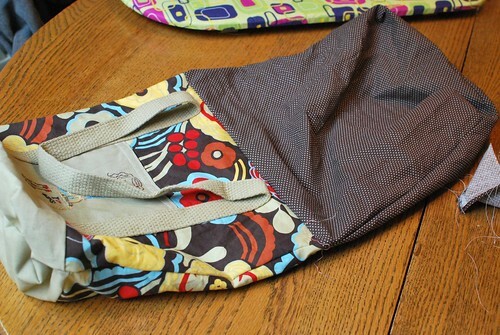 Just finished this bag tonight. 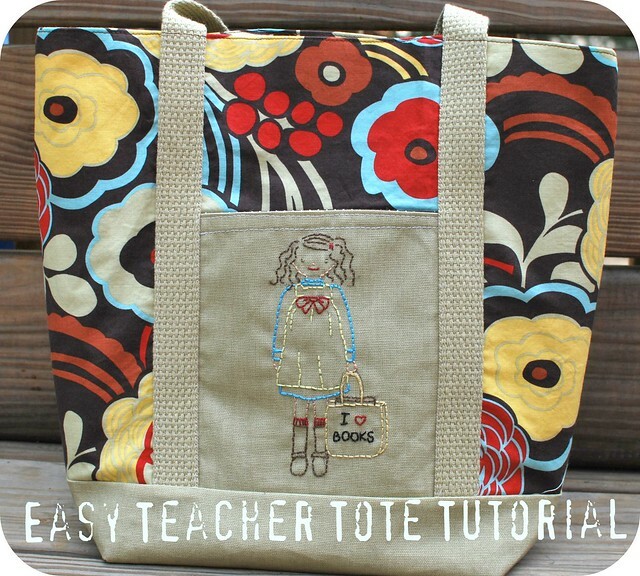 Wonderfully easy directions and a great finished product if I do say so myself! :) Thanks so much for the great tutorial! Amei essa bolsa e como você explicou,lindo,parabéns.